FCR, the premier provider of outsourced live agent call center and business process solutions, announced today that it has raised over $4,500 for the March of Dimes. The fundraising efforts were led by the company’s Community Alliance Teams, which partners with local, regional, and national organizations and charities in an effort to give back to communities and causes. 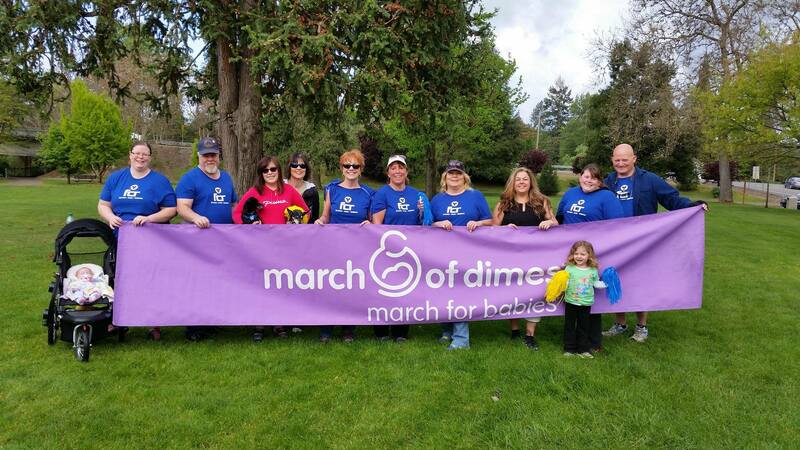 FCR’s colleagues also participated in the March for Babies event with numerous members of the company’s Community Alliance Team members walking in support of the March of Dimes across Southern Oregon. The March of Dimes helps give hope to nearly half a million babies born prematurely each year. The money raised in the annual March for Babies events supports programs that help mothers have healthy, full-term pregnancies. It also funds medical research to help find answers to the various health-related problems that threaten infants like: premature birth, oral cleft birth defects, congential heart disease, spinal disorders, lung developement, and vision defects.